The Nest Family Wellness Centre offers naturopathic and midwifery care. The Nest combines science-based natural medicine with conventional medical therapeutics and is home to Dr. Pamela Smith, ND. [Better] Medical is an integrative medicine clinic that provides cutting edge practitioners in the specialty areas of health and wellness medicine. Clients will have an opportunity to approach wellness by addressing multiple components of health, wellness and beauty. [Better] is home for Dr. Natasha Iyer and her practice of ‘wellness medicine’. In a medically supervised yet serene environment, you will receive care by certified professionals dedicated to helping you to enjoy a longer, healthier and more complete life by incorporating modern methods of holistic nutrition, hormonal balance, spiritual exploration and medical aesthetics into a comprehensive treatment. Find out more or book appointments here. 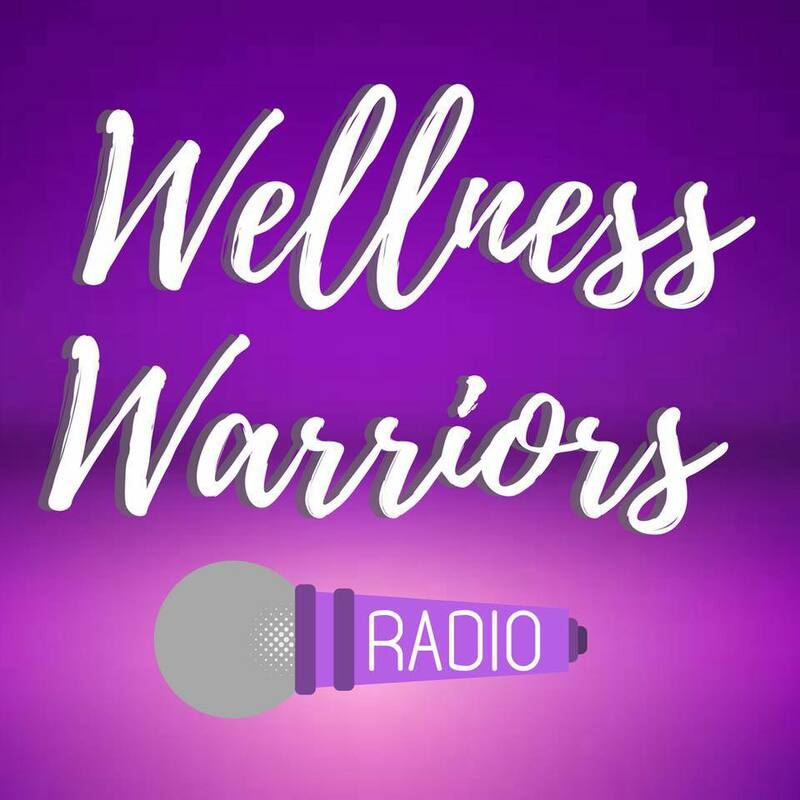 Wellness Warriors Radio was started by two like-minded Health Coaches and wellness enthusiasts determined to transcend the norm and spread the message that there’s never one-size-fits all when it comes to health. Their podcasts help you learn more about a wide variety of health and wellness topics in an easy-to-consume format that is flexible to your own schedule. Subscribe on Apple Podcasts or GooglePlay or you can listen right from their website. Grassroots Naturopathic Medicine Health Clinic is an established, full-service naturopathic medical clinic providing care to patients of all ages and health concerns. Patients have access to a wide range of diagnostic services and treatment options. The calming clinic environment will put you at ease while their knowledgeable practitioners take the time to understand and address your health concerns. Grassroots is home to Dr. Beverly Huang, ND. Discover how their medicine can help you here. Dr. Pamela Smith, ND completed her degree in Biology and Psychology at Thompson Rivers University and is a graduate of the Boucher Institute of Naturopathic Medicine. She has a family practice at The Nest Family Wellness Centre which offers naturopathic and midwifery care in British Columbia. Dr. Pam combines science-based natural medicine with conventional medical therapeutics. She has training in acupuncture, herbal medicine, physical medicine, clinical nutrition, IV therapy, pediatric & obstetrical care, Naturopathic doula, craniosacral therapy, and bio-identical hormone replacement therapy. She also has Pharmacy Prescriptive Authority. Dr. Pam offers a compassionate approach, working within the parameters of her patients' busy lives, values and personal preferences. Dr. Pam has co-written our Feeding and Sleep Program. You can find her tips and ideas for the whole family in her health and wellness blog and the Ask Dr. Pam Q&A. To find out more about Dr. Pam or to schedule an appointment, visit her website. Dr. Beverly Huang, ND, founder of Grassroots Naturopathic Medicine Health Clinic, has a general family practice, with special interests in women’s health, pediatric care, digestive health and mood disorders, including depression and anxiety. To help her patients receive the most optimal health care, she is happy to work with your current health care providers. To find out more about Dr. Beverly or to schedule an appointment, visit her website. Check out her tips for helping women during pregnancy, labor and delivery and more, in these blog posts. Michal Ofer is a lifestyle and wellness expert and nutrition coach. She is focused on assisting clients to take control of their health and happiness through the sustainable food and lifestyle choices that best support them. Through strengthening the body from the inside out, her clients are able to reach new heights of health, happiness and wellness. Michal obtained her Professional Training and Certificate from The Institute for Integrative Nutrition in New York. She has a Functional Diagnostic Nutrition® Functional Practitioner Certification and is a Certified 21 Day Sugar Detox Coach. Michal also has a Bachelor's Degree in Science and a Master Life Coach Certification. Visit Michal's website for a complimentary health and nutrition assessment (in person or from a distance). You can also find out more about Michal, or sign up to receive bi-weekly updates here. Check out Michal's tips and ideas on lifestyle, wellness and nutrition. From meditations in the mountains to lakeside yoga practice, Okanagan Yoga Retreats accesses the powerful gifts in nature to help you reconnect to a deeper state of vitality, clarity and balance. The culmination of vision and intention of Okanagan yoga teachers, Chelsea Ray and Shauna Nyrose, Okanagan Yoga Retreats offers a unique, first of its kind yoga, meditation and lifestyle retreat experience exclusive to the Okanagan area. To learn more or register for a retreat, visit their website. Shauna Nyrose offers a range of yoga classes, from practical foundations to creative flow and intermediate Ashtanga inspired practice for those seeking a challenge physically and mentally. She works with students of all levels to help them become stronger, healthier, happier and more balanced. Students love Shauna's quirky sense of humour, approachable nature and her ability to translate the teachings of yoga into contemporary life practice. To learn more about Shauna or to book a class, visit Shauna Nyrose Yoga. Check out her lifestyle blog about yoga, mindfulness and more. If you have practiced yoga with instructor Sara Vilamil then you've experienced the incredible calmness and serenity she brings with her when she enters the studio. Sara's exceptional ability to teach a variety of levels of students in a class (including prenatal) is unparalleled. To learn where you can practice yoga with Sara in person, or to order her video for practicing in the privacy of your own home, visit her website. Many years ago, Jackie Dumaine left a successful career in advertising and media to go to an ashram in India to study yoga and meditation, and has not looked back. Jackie is a life and business coach, speaker, workshop and retreat facilitator, writer and yoga instructor. She is also the creator of The Yoga Code™, a blueprint for creating a life with less drama and more peace (without a mat, or black stretchy pants!). For more about Jackie or to find out how she can support you, visit her website. Certified Body Code and Emotion Code practitioners can assist clients with physical, emotional and mental healing. The Emotion Code is a type of energy healing that is used to help to release negative emotional feelings, issues, hang-ups and baggage. The Body Code assists with body balancing by helping to identify and correct illnesses, injuries and other problem areas in the body. To learn more about the these techniques and the Heart Wall and to see how Alive and Pure can help you (in person or from a distance), visit Alive and Pure Healing. The River Cottage is a retreat offering therapeutic and rejuvenative treatments, including Educational programs in health and overall life improvement of life. Programs include detox programs, Ayurveda Therapies, Spa Treatments, Energy Work, workshops and other training. Jackie O'Neil offers a true East meets West experience to clients both in person or from a distance. Her energy-based healing sessions draws from her training in Reiki, Chakra Alignment, Matrix Healing, creative visualization and meditation. For more about Jackie or to schedule a healing session (in person or from a distance), visit her website. CallaBell Jewelry offers a wide selection of handcrafted jewelry created with gem stones and charms. They are created to inspire your spirit and bring healing and positive energy to the wearer. Wearing CallaBell Jewelry's elegant designs will make you look and feel amazing. Find out more here.